Wow, I cannot even believe that is possible for me to be writing this review. 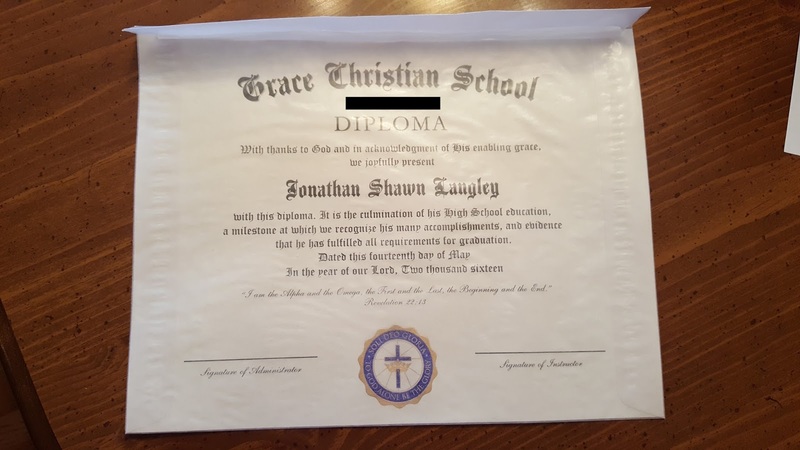 You see, in order to tell you all about the Exclusive High School Diploma from HomeschoolDiploma.com my son must be graduating!! Class of 2016 seemed like so many years away and yet here it is. 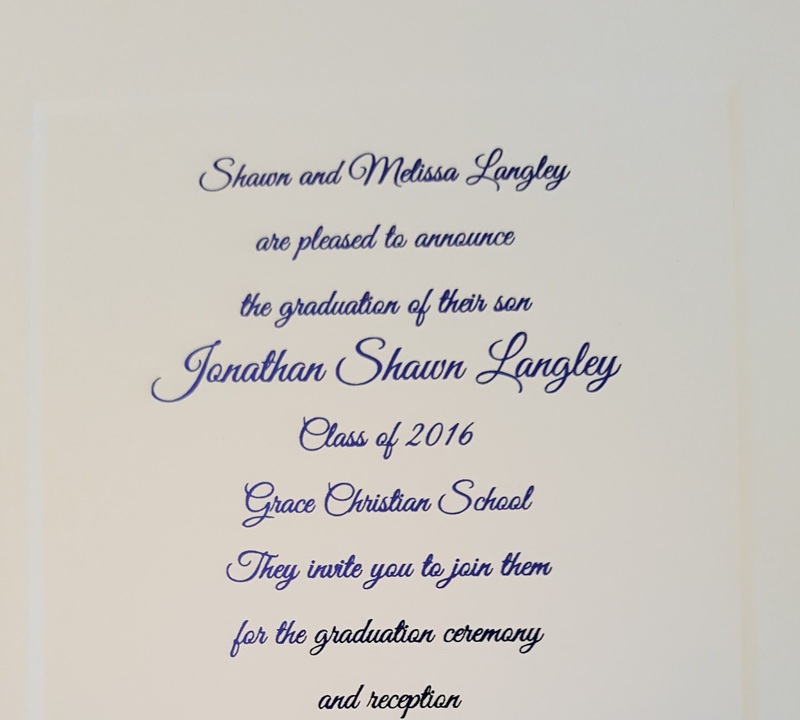 In less than a month, our little homeschool will be graduating it's first Senior! I'm still trying to wrap my mind around that! It was like Christmas time when we received your box in the mail from HomeschoolDiploma.com. As soon as we received our package, we dove in to see the beautiful goodies that we have both worked so hard for! 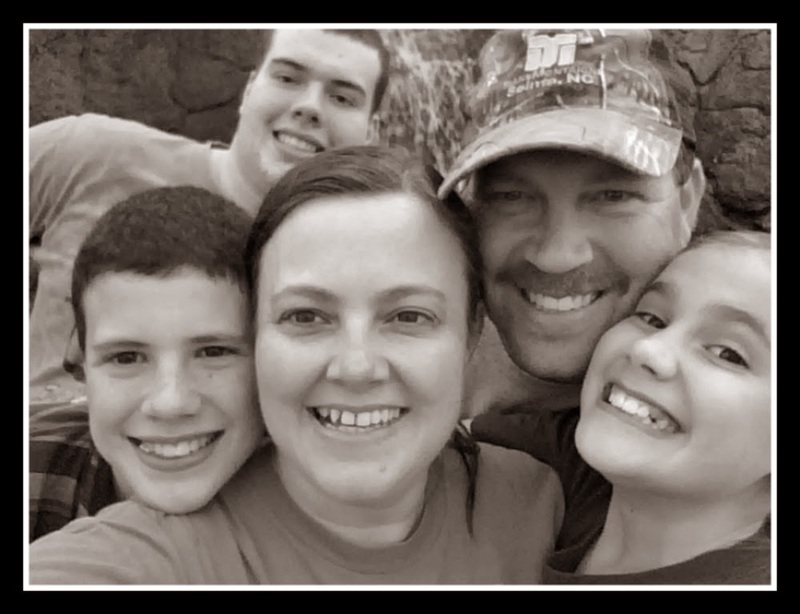 A homeschool Senior has done their part but so have you, Mom and Dad! Congratulations to us all! It felt as though I was graduating all over again myself. 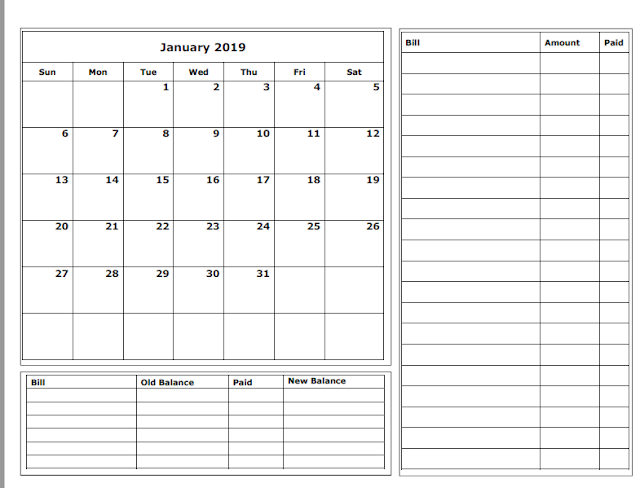 option of adding Title names under signature lines such as "Signature of Instructor", "Signature of Administrator". They have suggestions for choosing the title names or you can just leave it blank. Also offered for additional fees are archived copies of the diploma as well as wallet size options. I ordered an extra copy of ours to keep with our school records at home too. 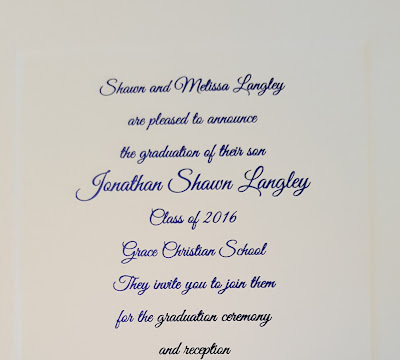 They have 4 styles of diplomas available for purchase - standard, personalized, exclusive, and gilded. To see which style would fit your needs best, you can use this chart that explains the differences. The basic differences include the wording and seal options. You can also see more on the different seal types and paper types here. 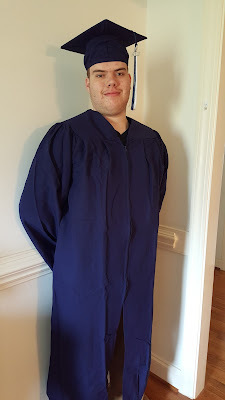 Since our homeschool group has 5 graduates this year, we had already decided to order our cap/gowns and tassels so they would match from HomeschoolDiploma.com. I chose to go with the Exclusive Diploma Package which included the Exclusive High School Diploma with the 8.5 x 11 Deluxe Cover, Any Matte Cap & Gown, Any Tassel for $76.48 without any add-ons. 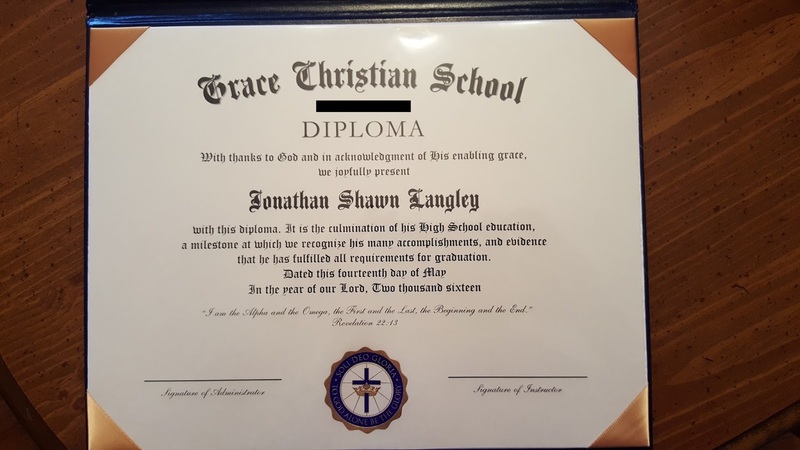 Since this is a once in a lifetime opportunity, I went all out in ordering our diploma and added Jonathan's favorite Bible verse to the diploma and his name to his diploma cover for an additional fee. The black line on the diploma is where your city and state would go. Our order shipped really quickly and we received it in less than a week from when we ordered even with the additional choices. Everything was nicely wrapped for packaging and we are very happy with what we received. 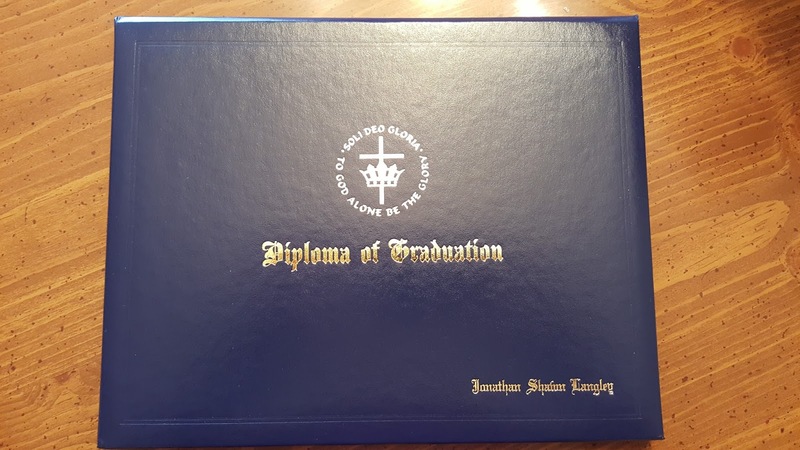 The padded diploma cover with the engraving is so beautiful and Jonathan will be able to treasure his diploma for years to come. The diploma itself was also nicely finished and very professionally created. The company they work with to engrave has won world wide acclaim for their work. The engraving die is engraved by hand under magnification. It's such a wonderful way to celebrate and commemorate many years of hard work and perseverance. Seriously, have tissues in hand the first time you see it! 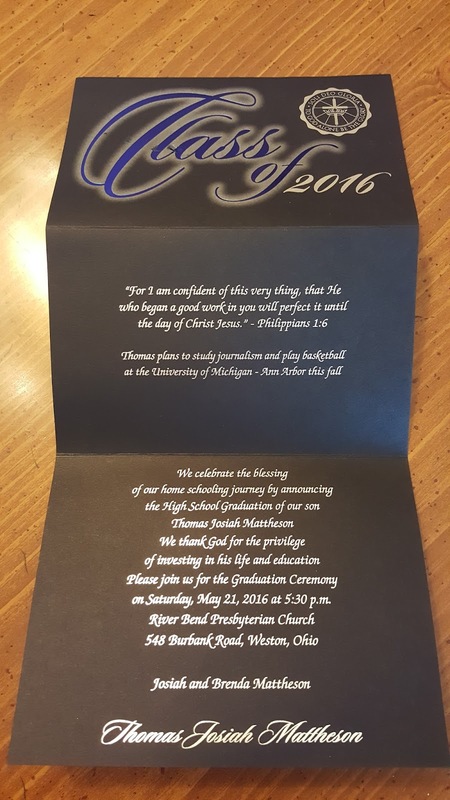 Also included in the Exclusive Diploma Package was a choice of any matte cap/gown and tassel. We chose the Navy cap/gown and navy and white tassel with silver clamp. There are several color choices to choose from for the gowns as well as the tassels and clamps. You also have 4 options of tassel charms to pick from (2 choices are free, 2 cost an additional fee). We choose the 4 digit "2016" in silver to match the tassel clamp which is one of the free choices. Again, we found the quality to be of excellent standard. And again, my school gown was in Navy - so many memories! We used the directions given in the sizing chart to determine the size which fit perfectly for Jonathan. We still need to steam it but we gave it a quick try on out of the box so you could see. Our graduation ceremony will be held at our homeschool group's annual promotion ceremony so I also purchased the Simply Stated White Panel Card to share with a few family members and friends. 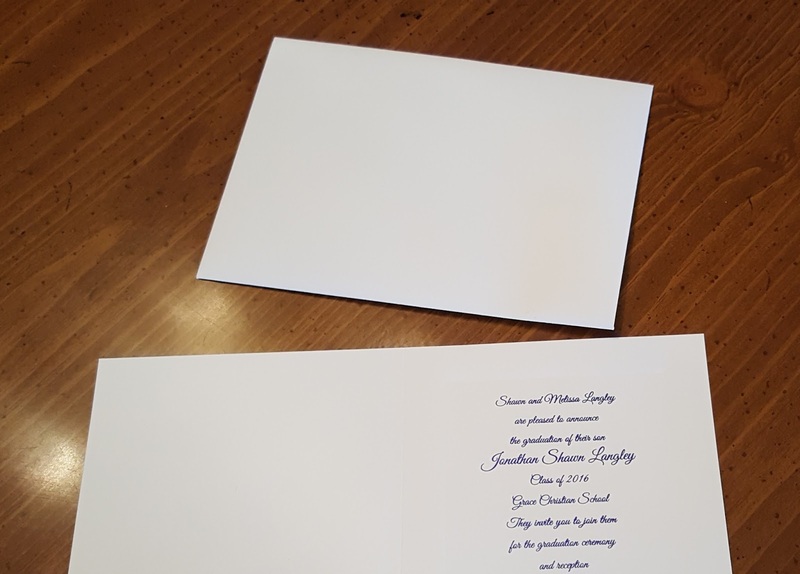 I did crop out the address in the picture so the card when folded measures about 4 1/2 inches wide by 6 inches long. It's also hard to tell in the picture but the printed portion is on a raised panel. You can choose from several different foil colors for the lettering as well. We chose navy. 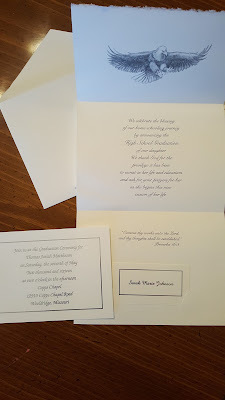 HomeschoolDiploma.com also sent us some sample invitations. The samples they sent were on thick card stock paper and the beautiful foil lettering really makes these trifold announcements pop. The black is really prettier than I thought it would be. If you're looking for a more classic style, then be sure to check out these 2016 White Semi-Personalized Cards which include a space to add in name cards, envelope seals, and personalized insert cards. 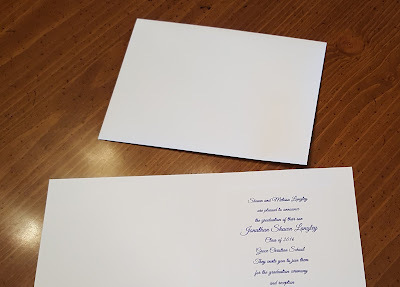 Name cards, envelope seals, and ceremony details on the personalized insert cards are all sold separately. I really wish I had chosen the envelope seals now. 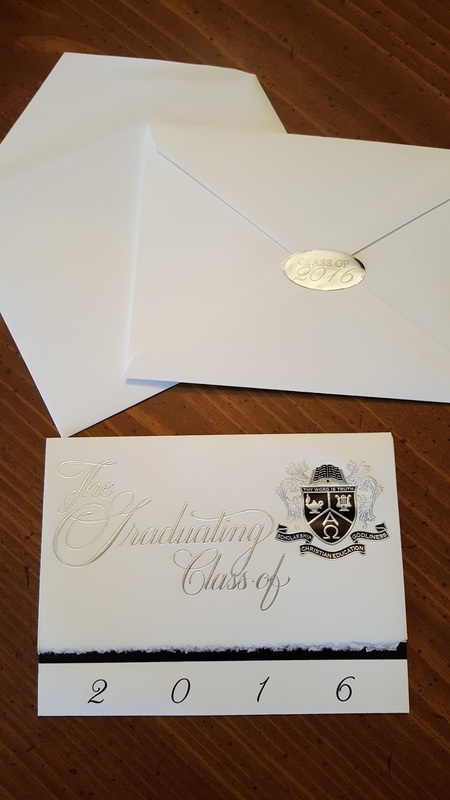 They add such a nice flair to the white envelopes. HomeschoolDiploma.com has everything to meet your graduate needs including class rings, invitations, diplomas, t-shirts, thank you notes, senior portfolios and so much more! You can also find them on Facebook, Twitter, and Pinterest. I'm so thankful for companies who help make graduating from homeschool high school easier especially for us first timers! Some kids are really enjoying the homeschool study and it is better that they can continue their study in there and get a diploma. more to find out more helpful tips on writing. I think the biography sector is really tough side of a book and the review could place a lot of words on it as the tough thing always had some of mistakes in it. read more you'll be find some helpful information about the academic writing service.